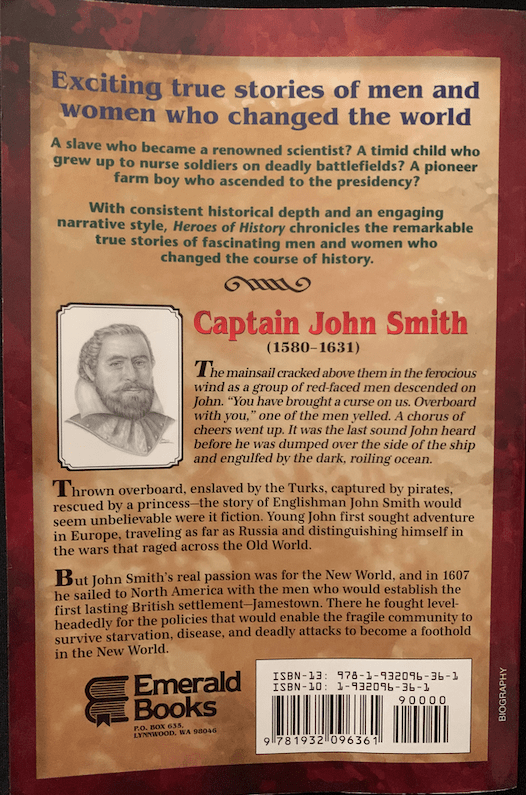 YWAM Publishing is one of our favorite vendors and we were fortunate to have the opportunity to review Heroes of History- Captain John Smith this time around. YWAM Publishing also sent us a Study Guide to go along with our book. YWAM is an acronym for Youth with a Mission, which I just love, and they have a great collection of books including Heroes of History and Christian Heroes: Then and Now. We have quite a few of their books. You can read our review of Ronald Reagan here, our review of Jim Elliott here, and our review of Davy Crocket here. We love including these in our homeschool history studies. The books are engaging, inspirational, and well written as well as being from a Christian value point of view. We really enjoy them and definitely enjoyed learning about Captain John Smith, which we received a physical copy of the book. We also received the Downloadable Unit Study Curriculum Guide to complement the book and work on digging deeper into the book and the lift of Captain John Smith. We have quite a few of their books. You can read our review of Ronald Reagan here, our review of Jim Elliott here, and our review of Davy Crocket here. We love including these in our homeschool history studies. The books are engaging, inspirational, and well written as well as being from a Christian value point of view. We really enjoy them and definitely enjoyed learning about Captain John Smith, which we received a physical copy of the book. We also received the Downloadable Unit Study Curriculum Guide to complement the book and work on digging deeper into the book and the lift of Captain John Smith. Captain John Smith is one historical figure of great interest in our home. Early American history is one that all the kids really enjoy. My son was really excited to get to read about Captain John Smith and learn more about him. The study guide provides a suggested study timeline for reading the chapters and working through coordinating assignments. It also provides additional ideas and tools for expanding your student in areas such as scripture study (Christian Heroes), history, geography, essay writing, creative writing, reading/comprehension, public speaking, drama and art. Heroes of History- Captain John Smith was a great book about the history this amazing man and his life. 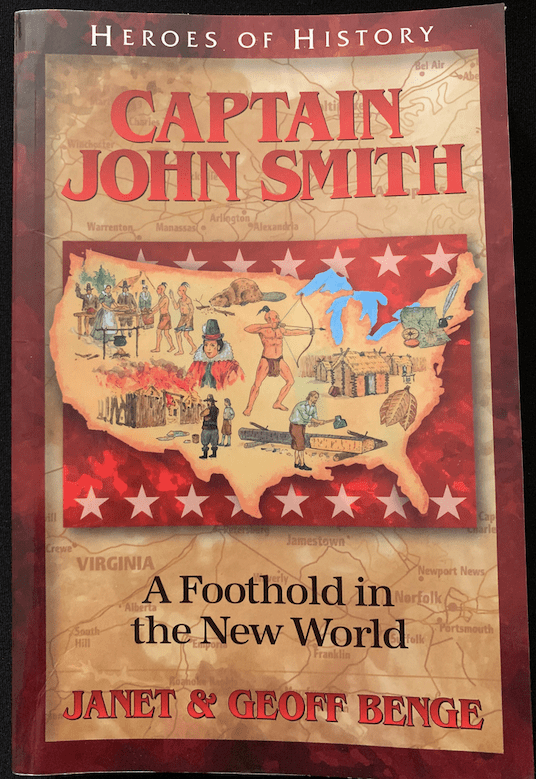 From being captured by pirates, to traveling to Russia, to settling Jamestown to being captured by Indians and being spared execution by the famed Pocahontas, Captain John Smith’s life was nothing short of an adventure. This makes reading and studying him a great topic. My son read the book and really enjoyed the adventures of Captain John Smith as well as learning of the role he played in settling the New World. We used the study guide to dig a little deeper into the history and geography, which is his favorite parts to dig deeper into. Overall, we really enjoyed YWAM Heroes of History- Captain John Smith as we have all the YWAM books we have read. Click below on the banner to see what the rest of the Homeschool Review Crew had to say about many of the YWAM books.